If you think of clogs you might primarily think of a slipper with a wooden sole and a leather cap. These clogs began to be manufactured on a large scale around 1900, at which time the industrialisation of leather- and woodwork meant that most people could afford them. The early wooden shoes, with both the sole and a cap of wood, began to be used in the 16th century according to historical research. There are remnants of shoes similar to those clogs also from 15th century France, and it is possible that they spread from there through Denmark, and then finally to Sweden. Clogs were frequently used, mainly in Sweden’s southernmost province. You could find a make of wooden shoes in every village in Skåne. Clogs were a both durable and warm kind of footwear, especially if you placed straw in them. They could be richly decorated with carvings and colourful embellishments. But they could hardly have been very comfortable. They often lead to calluses. The really good shoemakers could, however, carve out shoes that were completely individually adapted, so that they perfectly fit the prospective owner. 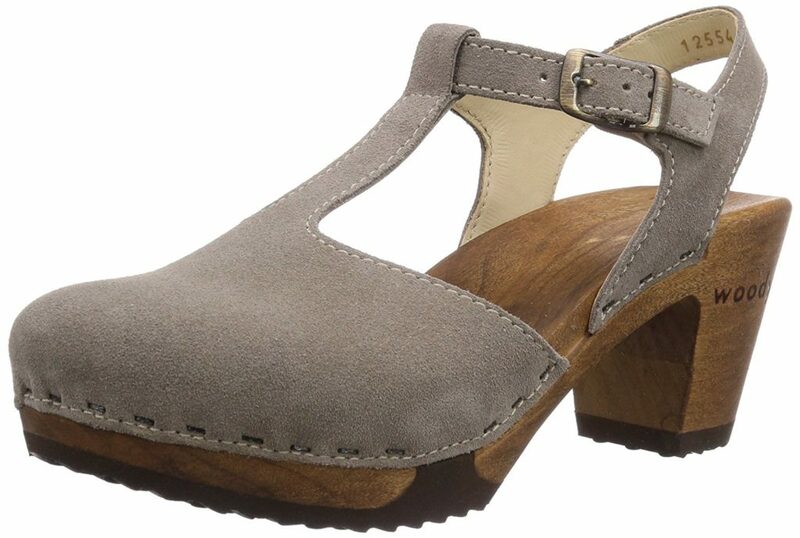 Today we can see shoes from very many brands, inspired by the clogs. Some actually still have a sole made of wood, but it’s often rubber or cork that had been coloured and shaped to look like wood. The top part can be made of both leather or faux leather, in all sorts of colours and with stones as decoration. It is fascinating how the everyday kind of shoe has been able to survive and remain in fashion today, although it hardly can be called particularly ergonomic with such a hard and stiff sole. On the other hand, sky high heels that we can see in fashion shows, in movies or at parties today can hardly be called ergonomic either. It seems like we are happy to sacrifice a little comfort for fashion, regardless of origin, and regardless of how practical it is, especially for a black couple.